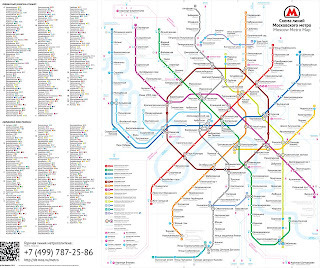 In spite of that Moscow metro is one of the hugest subway systems in the world (Russian capital is at 9th place by number of station, they are 188 ones) the Moscow metro scheme is quiet simple. It is radial with lines crossing in the centre. Compare with Tokio or Seoul subway and be horrified. For a long term there was old-time habitual scheme which was very comfortable for residents and guests of Russian capital. It had thick lines and big points of stations, there were information about railway stations and aero-expresses. But in September designers Moscow company “Autosell” created new scheme, very modern and according to European models. But this performance was found to be very failure, usual people and professional designers found a lot of bad mistakes and called new map like crude workmanship. This scheme had no connection with real location, it had not railway stations, airports and the river Moscow. But there were found such thing as irregularity of filling, unequal lines, letters, outlines, serifs, new map had not common design standards. 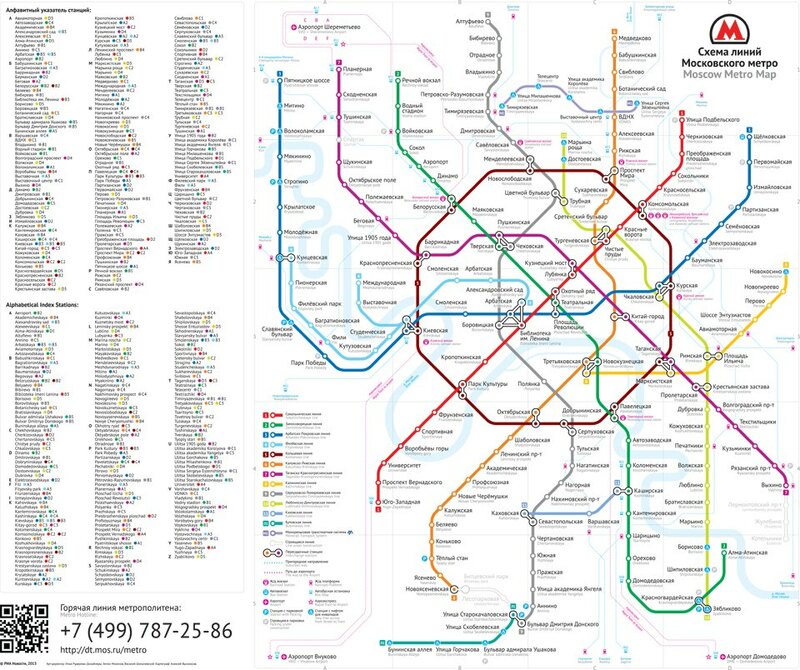 Immediately a lot of new alternative schemes appeared and the other day the Moscow transport department started a competition between three best schemes proposed by professional designers. 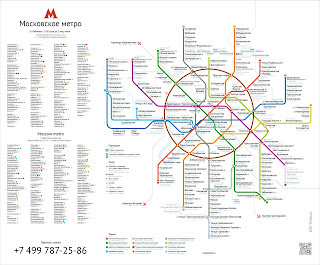 Muscovites can elect new metro map themselves, their votes will have determined by the 1st of February which scheme will be stuck in trains and stations. Now there are three applicants to be a winner: Artemy Lebedev Studio, RIA “Novosty” design agency and designer from Chelyabinsk Ilya Birman. All these schemes take into account the mistakes of the former one, combine traditional line forms and European freedom, lightness and contrast. ALS created new information level on the scheme, they added suburban trains and connected them with metro and such way displayed comfort and simplicity to go by suburban trains. Designers also offered to create two separated versions, Russian and English, because two languages overburden the scheme. By the way all schemes have Roman alphabet like secondary because it’s difficult to call Moscow a world tourist mecca now. 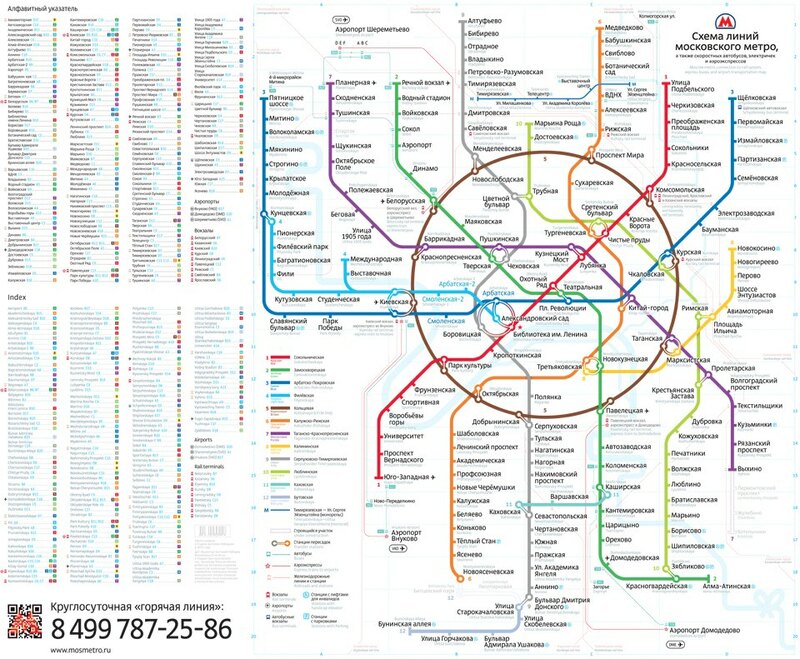 RIA “Novosti” decided some actual problems of the former map. At the first the coordinate scale for stations prompt search appeared and at the second the transfer system was improved. Here designers repudiate traditional circle, ring, and introduced new figure to the centre – octagon. Ilya Birman tried to make his composition very simple and legible, he untangles all these junctions. But the best innovation is to implant into alphabet index a system of compass researching of stations. There is also one interesting edition which doesn’t take part in official competition. 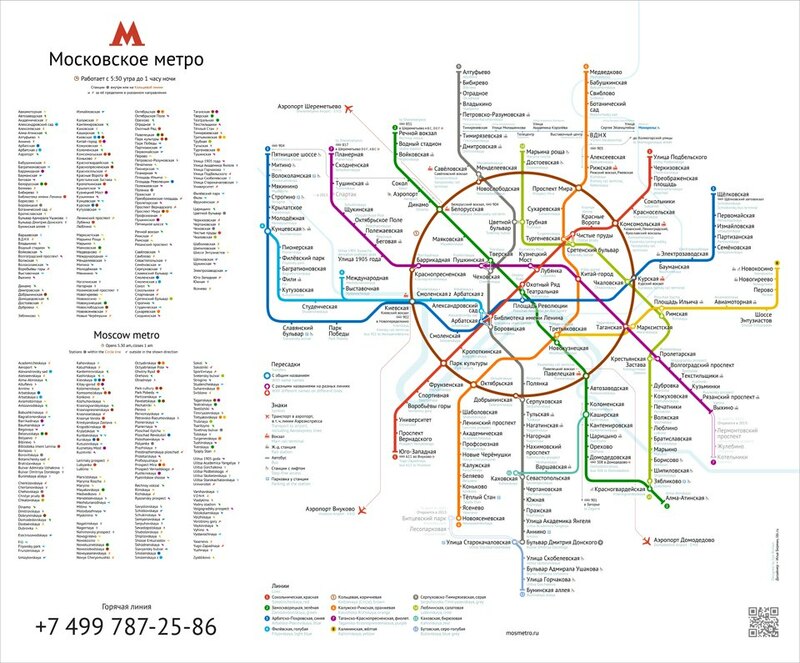 It’s a map created by Moscow alternative group “Partizaning”. Guys took away all building stations and connected all objects with real geographical locations to show real distances between stations. Also they offer to unite suburb and subway systems, it’ll be considerably profitable. 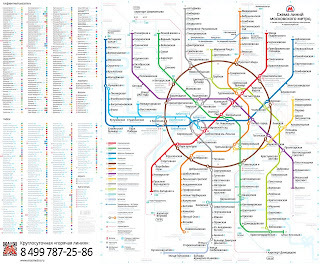 They distrust ideas of Moscow authorities to build one more metro circle because small railway ring already exists and only one necessary thing is to connect it with metro proper. Besides “Partizaning” recommend people to cycle or to go on foot more and not to buy cars. They have already placed illegal alternative schemes in metro coaches. Ironically “Autosell” has already got money for their unsuccessful project, therefore the competition became free and only one bonus for future winner of competition is his logo on the scheme. Great article ! Very interesting !! !